Max. Height 60 inches with leaves almost 3 feet long. 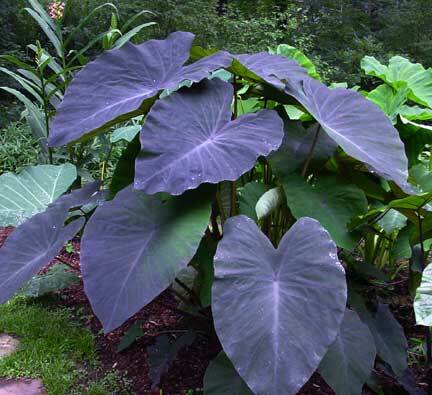 Black Magic is a stunning elephant ear. It really needs a lot of sun to develop it dark color but will grow with partial shade. The one below is growing in our gardens. 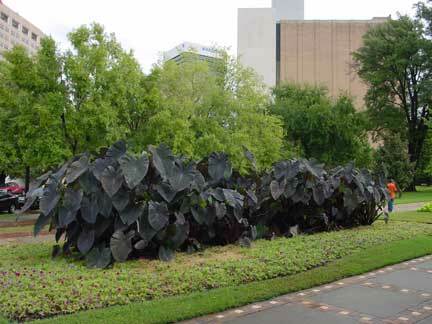 Long line of Black Magic Elephant ears in a park.